Yes I tell him greetings! Thanks for your kind words But telling the truth that was one of my kindnest pics, haha, so sometimes my alter-ego takes the power and I become other person, during matchdays especially. As for cat, it's real demoness, yeah. And Medved just means Bear in English. @Medvedini Ahahaha. You're welcome Eugene - Bear. That's Russia's powerful animal symbol ha? Welcome all new managers and all experienced managers. @De-Zender-Obama_NL Hello mate and welcome to the English forum. Where we all try to speak only in english , if we wish to understand each other. So... Would you like to introduce yourself to us ? 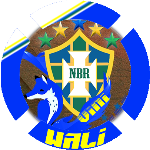 Hello, my name is Walisson, but in the game I'm known as iShElS, I'm 18 years old, and I live in Chapecó in Brasil. I am a forum moderator for the Portugal-Brazil community at 8 months. I love electronic music and films comedy, action, science fiction (My favorite), and drama. My teams from the heart are Chapecoense (team from my city) that unfortunately was marked this year with its tragedy that shocked the world, but it is already rebounding and will certainly give us many joys and honor these idols. I am also a supporter of Internacional, my childhood team. A big hug to everyone, and good games! No need to put the same screen more then ones. This is an introduction topic, so let's keep it that way. @iShElS Welcome to the English forums Walisson I am Megan! @iShElS Hello from me too and welcome to our lovely corner Walisson. I wanna congratulate you for becoming a Forum Mod and I wanna wish you all the best for your future career and adventures on OSM. Thank you very much, my friend, whenever you need to, just call. Hello to all managers around the world, I'm Cosmin from Ploiesti, :flag_ro: , age 31. I'm a FC Petrolul Ploiesti supporter, currently in 4th Romanian League after a bad manager brought us in this situation, after we won the Romanian Cup in 2013 and few matches in Europa League in 2013/14 and 2014/15 seasons, with opponents like Vitesse Arnhem, Swansea City, Viktoria Plzen, Dinamo Zagreb. I like music, movies, fotball (soccer), global offensive and other few games on pc. Currently playing fotball at an amateur football team in inferior league. One team till the end in any times, both hard and triumphal! Respect! 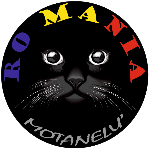 Well, you will all laugh, but we have more fans at a game than a team from 1st Romanian League, actually champion, what is some kind sad for them. But, this is another discusion, about old teams, traditions, from father to son. My first account is for 2007 I really like the OSM family and this game is very special to me... I am 24 years old.